Swiss firm Elinchrom have announced the BRX, Quadra Hybrid RX, D-Lite RX and D-Lite RX ONE flash systems, all of which you can adjust wirelessly using the company’s EL-Skyport radio triggers, a laptop or even an iPhone. Each of the new devices are actually small updates to existing models, integrating extra wireless capabilities and other new features. 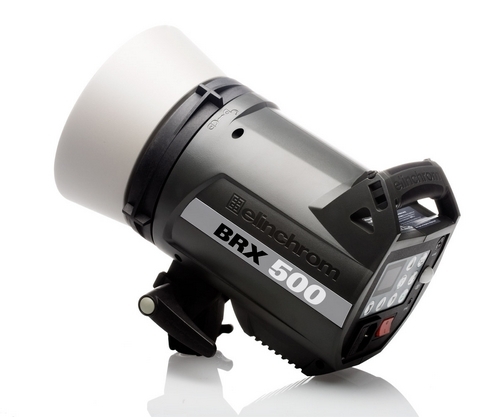 The BRX-series adds Skyport Wi-Fi and Computer control to the BXRi-series mid-range monolights, which are otherwise unchanged except for “improved electronics”. As before, there will be two models, the 250 and 500, with multi-voltage support and a Skyport receiver built in. 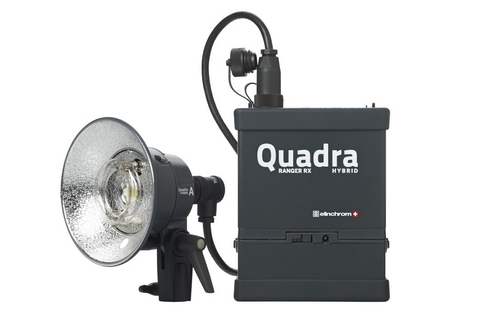 The Quadra Hybrid RX has been developed so that you can switch between the older, heavier lead-gel batteries and the newer, lighter lithium ion ones without having to pay Elinchrom to make modifications to your pack and heads. Other than that, no features have been added, so existing Quadra RX users may not be interested in upgrading. Kits start at £1,200, or you can get the Hybrid RX pack on its own for £774. For amateur photographers and small studios, the D-Lite RX is the successor to the wallet-friendly D-Lite it range. In this case, it could well be worth trading in your old D-Lites, because the new models add full Skyport wireless control, letting you change your power levels from a distance. 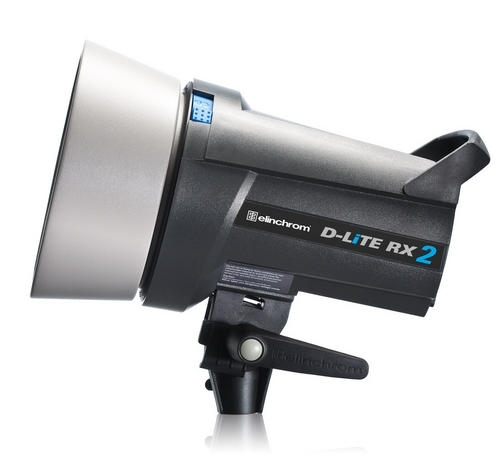 The previous D-Lite it flash heads could be triggered by Skyport transmitters but had no remote power adjustment. The D-Lite RX ONE is an entirely new model, aimed squarely at hobbyist photographers. It is effectively just a 100 Watt second D-Lite RX, with all the same features of the D-Lite RX 2 but half the power. The flash head is apparently designed to be an upgrade from hotshoe flashes, with company literature boasting that the ONE has “approximately twice the power of speedlights” and the advantage of being able to mount Elinchrom lighting accessories. Elinchrom go on to say, “Used outside the studio, the D-Lite RX ONE is the perfect creative companion to an existing Speedlight system” without mentioning the obvious drawback: you have to plug it into the mains. There is no battery inside the D-Lite RX ONE and you cannot plug it into a Ranger pack, so if you want to use it outdoors, look for extension cords or third-party battery inverters. However, indoors, one cannot argue with the price, starting at £350 for a two-head kit. 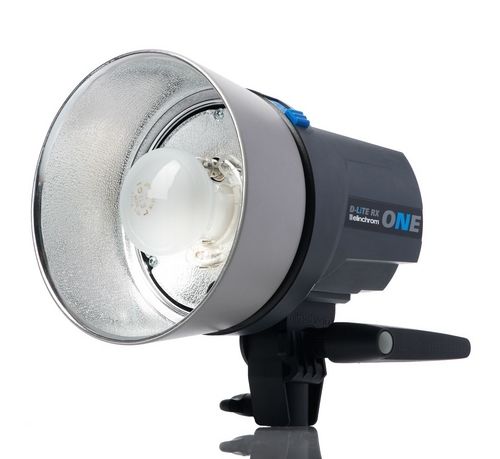 For more information on these products, including a list of international distributors, visit elinchrom.com.